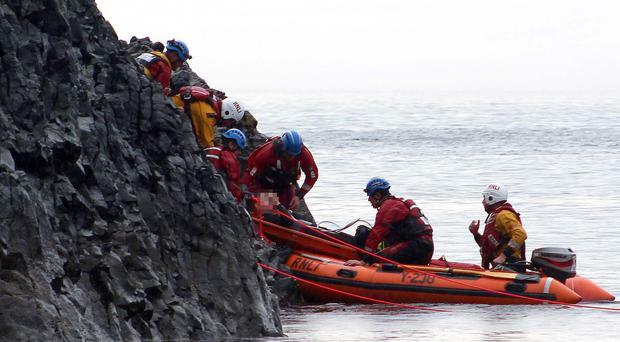 A man who fell 70ft onto the rocks at Ballintoy Harbour in Co Antrim is in a stable condition in hospital. The incident happened at around 6.30pm on Thursday. It was reported the man had been walking with a friend when he fell from Elephant Rock. Ballycastle and Coleraine Coastguard teams along with the lifeboat from Portrush attended the scene to help in the rescue. The man was described as conscious and breathing when medics reached the scene. He was taken by Air Ambulance to Royal Victoria Hospital. On Friday afternoon a spokesman for the Belfast Trust said the patient was in a stable condition in hospital.